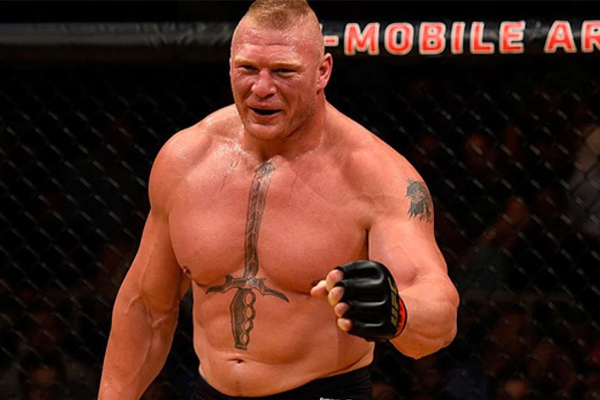 According to MMAFighting, Brock Lesnar’s new contract with WWE lets him participate in at least one UFC fight. Lesnar, who was expected to walk away from WWE after WrestleMania 34, re-signed and has been booked to defend his title against Roman Reigns. His presence is a boost for the WWE, who has pushed the former collegiate All-American wrestler as one of its toughest attractions. Lesnar has held the Universal title, one of two world championship belts, since Wrestlemania 33 and has been one of the WWE’s most notable headliners despite his part time status at the company’s shows. The former UFC heavyweight champion was last seen in the Octagon at UFC 200 in July 2016. He defeated Mark Hunt via unanimous decision, but the result was later changed to a no contest due to a failed drug test by Lesnar. He would need six months of clean tests in the USADA drug testing pol before he could compete again.